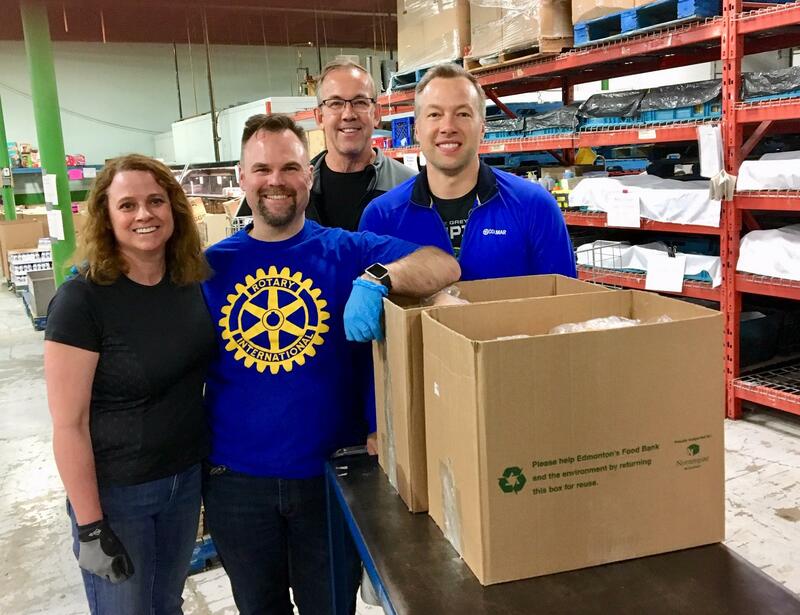 On Tuesday November 9th members of the Whyte Avenue Rotary Club, the YEG Passport Club and their friends were given the opportunity to assist the Edmonton Food Bank. In the Food Bank's large warehouse downtown we helped sort donated fresh and non-perishable food items and build hampers to be distributed to individuals and families who are having trouble making ends meet. The Edmonton Food Bank started 38 years ago and was the first facility of it's kind in Canada. 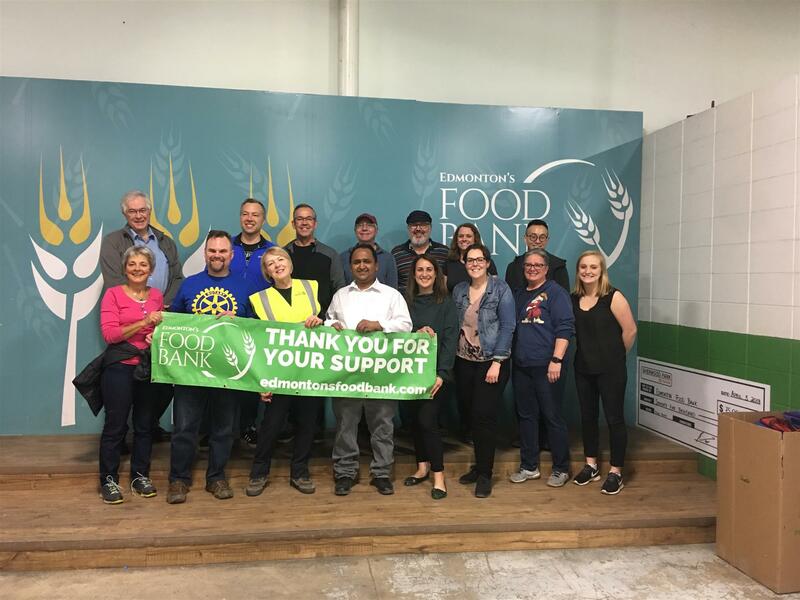 Incorporated as The Edmonton Gleaners Association the Food Bank provides assistance to clients directly as well as in partnership with over 250 programs set up through churches, schools and other social service agencies. In 2017 they collected sorted and redistributed over 4 million kilograms of food. About 40 percent of the recipients were under the age of 18. The majority of items provided by the Edmonton Food Bank have been donated by food retailers and producers. The public also plays a crucial role, donating food at participating grocery stores and local fire halls as well as at the many public events that support this worthy cause throughout the year. Monetary donations and volunteer support are also crucial to the ongoing operation of the organization. Thanks to the Edmonton Food Bank and Rotary Club on Whyte's Kristin Jennings for arranging this event.